This is often the most stressful part of the day for new families! The school will fill you in on all the details, but here is an overview. The school day is 8:30a to 2:50p. Kids need to be in their class at 8:30 so should be dropped off no later than 8:25a. After 8:40a, students are late and must check in with the main office. If kids get to the school after 8am they can go into the building and will be sent somewhere to be with their classmates until the school day starts. Someone from the school is always there at the door to say good morning and to make sure they know where to go. 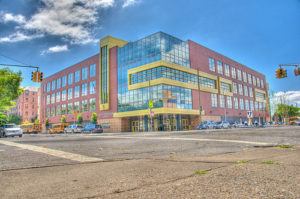 All children enter the school through the main doors at the corner of Avenue P and Stillwell Ave. You say goodbye to your child there. There is always a school aide and a security guard present at this time who can help guide your child. If you are dropping your child off by car, please do not stop in the bus zones in front of the school on Ave P or Stillwell Ave. Pick-up is in the school yard. The entrance is a gate on Stillwell Ave just past the school. There are signs marking the area where each class will gather. There are public DOE (Department of Education) buses through the Office of Pupil Transportation (OPT) and private buses arranged by parents. 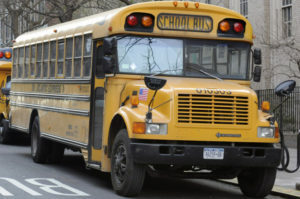 The Office of Pupil Transportation (OPT) will assign your child to a bus and a bus stop and they will assign a time for pick up and drop off. BSI parents try to help each other. We have made text groups for most of the bus lines so that we can tell each other if a bus is running late or if one of us is running late! FYI: The school and the parents refer to the bus routes by colors, like yellow, light blue, red, etc. The OPT refers to them by numbers, like K2199. For families who fall outside the DOE yellow bus range, there are two parent organized private buses. In the 2017-2018 year, the Orange Bus runs through the neighborhoods of Brooklyn Heights, Cobble Hill, and Carroll Gardens, and the Red bus starts at the bottom of Bed Stuy and runs through Park Slope. A bus matron rides on each bus to oversee the children’s safety and serve as a point of communication when there are delays. Parents wishing to know more about these two buses should send an email to bsiprivatebus1@gmail.com. Communication is crucial at BSI. We are so geographically spread out, and we all want to know what is going on with our kids and our school. We’ve prepared this rundown for you so that you’ll never feel out of the loop! Communications from the school itself generally come via email, via blog post, or on paper via your child’s backpack. You’ll receive information about this from the school! The PTO sends out emails throughout the year about sponsored events, meetings, fundraising opportunities, etc. Please fill out the registration form on BSIPTO.org if you have any changes to your contact information. Grade emails: Classof2027@bsiparents.org, Classof2026@bsiparents.org etc. The class year is the year when these students will graduate from 8th grade. If you are not able to use these email addresses, it is because your email address is not included in the email group. Please contact Communications@bsipto.org and let us know. The PTO has our own website, BSIPTO.org. There you can find posts about current goings on and information about your current PTO officers, how to contact us, minutes of old PTO meetings, information about committees, links to volunteer or register, the PTO calendar and most importantly, how to donate! BSI PTO has its own public facebook page which you can follow: Brooklyn School of Inquiry PTO. In addition, there is a closed group which is monitored by a parent and not by the PTO: BSI Parents, which often has spirited discussions of issues at BSI. Many grades or interest groups have their own closed Facebook groups, also not associated with the PTO, and they use those groups to arrange social events and exchange information. You can also join the BSIParents Google Group email list. Parents sometimes post information here about events and opportunities or seeking help. You can join and search the archives through our website (see the right column about half way down the page). This group is also parent run and not directly affiliated with the PTO. 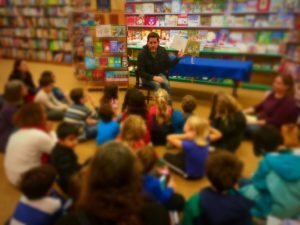 BSI PTO traditionally holds many events throughout the year with the goals of fundraising and building community. These are all run by, staffed by, and enjoyed by YOU, BSI families! Current and new BSI families, teachers, and staff gather for a casual, friendly picnic. We eat, play games, ride the Carousel, and get to know each other better. Especially geared towards welcoming new families. We play games, dance, reconnect and, of course, eat lots of ice cream. This is the event of the season and it gets better every year! 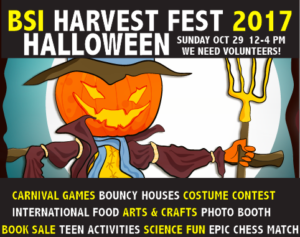 Bouncy castles, climbing walls, carnival games, science, magic, art, international food, raffles! Everyone pitches in and everyone has a blast. Get together with friends and watch a current hit movie in the BSI auditorium. The fun-loving members of the Movie Committee make this happen. These are usually organized by class parents and grade reps, or by neighborhood, and are often simply a meetup in a playground or park. Sometimes they are group outings, such as a grade-wide trip to a bowling alley or a pizzeria. Expect a few throughout the year – and feel free to organize your own and spread the word! The grown-up version of the playdate – meet us for drinks or for a night of karaoke and have a conversation that is not interrupted by children! These are organized by the PTO a few times a year. BSI teachers come throughout the day to read their favorite books. Kids get together with their friends, and BSI PTO gets a portion of every purchase that day when someone presents our voucher. A fun one to volunteer with your kid handing out vouchers or at the gift wrapping table! Not really an event, but an important tradition. The BSI Give Back Committee organizes a collection of winter coats to benefit New York Cares. A party just when you need it most. 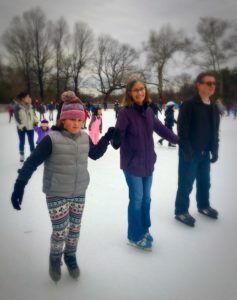 The kids love seeing their friends and parents love getting the chance to relax together, skating or hanging out in the cafe. It’s a very special tradition, made more special by the participation of so many of the BSI teachers and staff. BSI kids love chess! Our annual festival is fun for everyone. 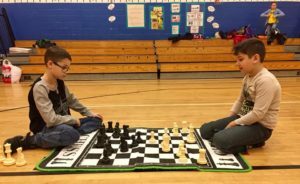 The most serious chess players participate in tournaments and learn from experts and the less serious can eat amazing food, socialize, play games and do art projects. Again, not really an event, but a powerful fundraiser for our kids. Parents solicit donations from summer camps, after-school programs and locations offering kids’ classes then open the auction to the public. It’s a great opportunity to get a deal on experiences for your kids and to make some money for the BSI PTO. The party of the year! BSI family, friends, teachers and staff gather for some grown-up fun. Cocktails, food, music and dancing to celebrate each other, our kids and our school. The auction, live and online, is the culmination of months of parent solicitation for donations and includes some really fun and amazing items and experiences. You don’t want to miss this one! Every year our amazing BSI families create new events and opportunities. 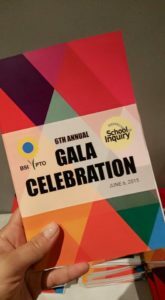 Browse through old posts on the BSIPTO.org website or Facebook page to get an idea of what our year looks like. You can make these events better! Volunteer and work with us! These are not PTO events, but important school events you can expect to see on the school calendar through the year. These are special mornings when parents and family members are invited into the classroom to observe and participate! Sometimes other events, like a dance or music performance, and PTO meetings, are scheduled to coordinate with these days as well. Early in the fall. A chance to meet your child’s new teacher, as well as to learn about the curriculum your child will be learning in each subject. These happen twice a year, along with report cards at the end of the first and second marking periods. Kids have a half day, and conferences happen in 10 minute sessions throughout the afternoon and evening. Your child’s primary teachers, as well as cluster teachers (art, science, Spanish, dance, gym, media literacy, etc) are available for conferences. Signups are usually done via email a few days beforehand. Don’t forget to leave time to see the INCREDIBLE art show that Ms Nanna hangs in the gym on conference days – every child’s work is included. A chance to meet with the Principal to discuss concerns specific to your child’s own grade. These meetings so far have been once per year per grade. each week to be available for in person or phone meetings with parents. The time slot may vary from year to year – check the school calendar. We are all so proud of our BSI alums! 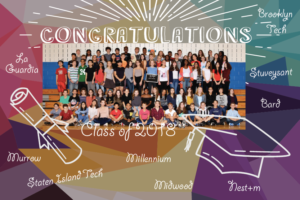 We celebrate with our graduating 8th grade class and send them off in style! What is the PTO and how does it work? 1. Fundraising — without PTO funds our school would only have basic DOE funding. We get no additional funding as a G&T school. Without parent raised funds we would be stripped down to the very basics and our kids would suffer. 2. Encourage parent involvement and volunteerism — we need to have a strong and positive community. Everyone pitches in with whatever they have to offer. We need everyone on board. 3. Support the students, support our school — Our main goal is to advocate for the educational, emotional, and social needs of our children as we support the vision of our school leadership. Every grade has a Grade Rep who is the liaison between that grade and the PTO — alerting their grade to events and useful information and passing along concerns and problems from the parents. Class Parents are point people for teachers to contact when they need help and are generally chosen by the teachers or self chosen rather than going through the PTO. Class Parents in the lower grades can be a great help to the teachers with class parties and communication and generally are in charge of collecting money for teacher/staff gifts. On the BSIPTO.org website you will find a list of currently active committees and their missions. These groups are always looking for new energy and new members. Some of our most active committees are Fundraising, Diversity and Give Back. The SLT is composed of elected parents and teachers. The core responsibility of the SLT is to develop the school’s Comprehensive Educational Plan (CEP) aligned with the school-based budget. They meet monthly and report back to the parent body at PTO meetings. Find out more on our website. If you are interested in volunteering, there are endless opportunities both big and small. Start by filling out our volunteer form on the bsipto.org website, which will also let you sign up for committees. No one is too new or too busy to find a way to volunteer. Many hands make light work. We are in this together! The most important function of the PTO is fundraising. BSI is a public school and receives no extra funds because it is a G&T school or because it is city wide. Every year we struggle to reach our fundraising goals so that our kids can have enrichments as well as some pretty basic things, like teacher’s assistants for the lower grades or art supplies for our amazing art teacher. If you are interested in learning more about what we currently fund, check out a list of currently funded programs here. Most of the money to fund these programs comes from direct donations from parents. More than 80% of our total fundraising dollars are from BSI families through our Direct Appeal campaign. Your entire contribution is tax deductible and many employers match donations. We request a donation of $1,500 a year per child but of course for some of our families that is out of reach. Any amount donated makes a difference! Give early and often. Donate today! We hold many fundraising events throughout the school year — see the Events Section above. • If your contact information changes, update it on our website. • Consider joining the “BSIParents” unofficial Google Group. You can sign up from the right column of BSIPTO.org home page.